I am jimi john from Wayanad. JDT Islam Arts and Science college Calicut by grace of god and JDT. My sister also like me. is considered the most prevalent form of childhood muscular dystrophy. It has a relatively rapid, progressive disease course. trunk and forearms and gradually progress to involve most major muscles of the body. fixation of certain joints (joint contractures) due to muscle weakness, prolonged immobility, and shortening of muscle fibers. 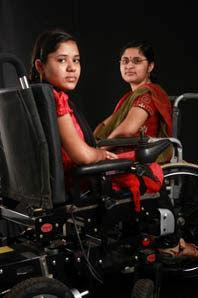 By approximately age 10 to 12, most affected individuals require the use of a wheelchair.